Former Head Coach for USA Triathlon. Specialize in applying scientific data to create unique individualized training plans. Have helped 1000s of athletes from beginners to elite. Attended Columbia Univeristy in New York City, BA and MA in Exercise Physiology. Former Head Coach for USA Triathlon. Certified Coach - USA Triathlon, Level 2, USA Cycling Level 2. Certified Strength & Conditioning Specialist (CSCS) from NSCA. Certified Diabetes Educator (CDE). International Head Coach for Juvenile Diabetes Research Foundation, Ride to Cure Diabetes, Southeast Wisconsin chapter. Must be willing to follow the mutually agreed upon training plan. Success. 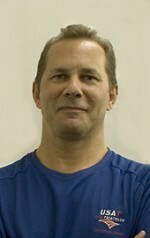 Coach Robert Hanisch has been notified of your message.